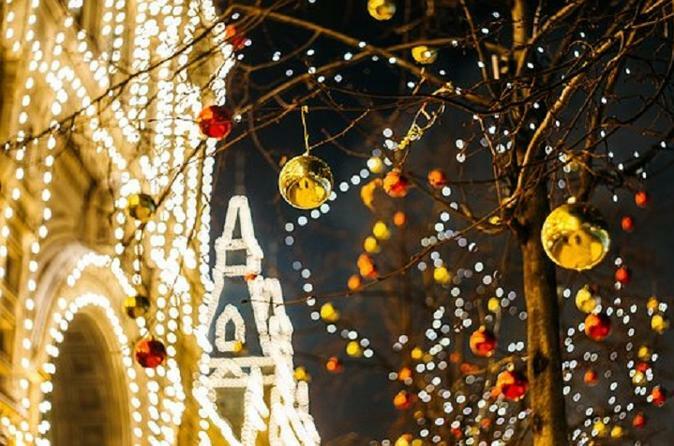 Enjoy the dazzle and sparkle in Portland during the holidays! Learn about Portland’s history and current events as we pass through the city’s oak and elm lined streets in full white light glory. A tradition of Portland long before the 1920s. Celebrate Christmas traditions through "A Very Portland Christmas" at the Pittock Mansion, the City of Portland Christmas Tree at Pioneer Courthouse Square, and The Christmas Festival of Lights at The Grotto. Downtown Portland: Portland’s Pioneer Courthouse Square Christmas tree and lights. This 75 foot tall Doug Fir is covered in over 14,000 colorful lights and is the largest decorated holiday tree the region! The Portland Christmas light tour includes a stop for hot chocolate, and candy canes. Pittock Mansion Christmas Celebration: Enjoy the wonders of the season at Pittock Mansion’s annual holiday display, a Portland tradition for over 50 years. This year, experience the iconic places, people, and events of Portland—like Powell’s Books, Packy the elephant, and Peacock Lane—as they are incorporated into the decorative stylings of volunteers and professional designers who transform the Mansion into a holiday wonderland. Enjoy a self-guided tour through this French Renaissance Chateau listed on the national registry of historic places and take in the spectacular views of the city below. Christmas Festival of Lights at the Grotto: Presenting the sights, sounds and sensations of the season, The Grotto’s Christmas Festival of Lights is the largest Christmas choral festival in the world. The festival features more than 500,000 lights, and 160 indoor holiday concerts performed by many of the region’s finest school, church and civic choirs. Offering a family-oriented blend of traditional celebration and serene reflection, the festival theme reflects the special season of hope that Christmas offers. Share in the Christmas spirit at this internationally renowned Catholic shrine that welcomes people of all faiths. Five indoor concerts are scheduled each evening in The Grotto’s 600-seat chapel, known for its cathedral quality acoustics. Continuous family entertainment in The Grotto’s plaza area includes outdoor caroling, puppet shows and a live petting zoo. This year there will be a baby camel at the petting zoo!